See in 1998, Marvel began licensing the rights to put some of its characters in films to other studios. Marvel first licensed the film rights to the character Blade to New Line Cinema. Soon after 20th Century Fox got the license for X-Men and then Sony got the film rights to Spider-Man. By 2004, Marvel Studios realized they were only getting a fraction of the millions and billions these other studios were making off of their characters. So that Marvel Studios secured money to be able to produce its own films and get some of their characters back. So now we have three major studios all making different Marvel movies. So it's understandable that fans and audiences would be a bit confused as to which characters are owned by which studios. I tend to think 20th Century Fox should be a little bigger because while technically Marvel Studios owns more film rights, Fox owns the bigger and more recognizable names. I think it's also important to make note of past films and the history there. For instance, Universal had the film rights to the Hulk and made the 2003 Ang Lee film. Marvel got the rights back and did The Incredible Hulk in 2008 as part of their Phase 1. A lot of people get it confused and think Marvel Studios did the 2003 film as well. It's confusing because Incredible Hulk was a soft reboot. They didn't do a Hulk origin story and it seems like a sequel to the 2003 movie but it's not connected. Also we're now starting to get more TV Shows going and Marvel is connecting some of these to their cinematic universe so I believe they deserve a mention as well. I've also added in Warner Brothers/DC even though they don't have this issue with movie rights. 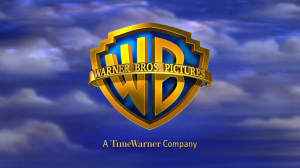 In addition to movie, WB is doing a lot with their animated movies and TV shows. My goal here is to try to get a more complete list of what we know so far and give a little background. I'm also going to do a Pro/Con list for each of the major studios because I think there are different strengths and weaknesses for each one depending on the film rights they own. I'm going to try to keep this list updated as much as possible as things change. Don't expect to see many changes for the major characters though. Even when a film isn't good critically, most of these big name characters still rake in a ton of money. So don't expect rights to X-Men or Spider-Man to revert any time soon (or ever). Chances are, that will never happen. The rule of thumb here is if it's a mutant, chances are 20th Century Fox owns the rights. They own some of the most recognizable non-Spider-Man characters. The biggest group being the X-Men. Fox also has the Fantastic Four and X-Force. So that means Fox has film rights to Dr. Doom, Galactus, Silver Surfer, Deadpool and Cable. Cons: Because they own so many recognizable characters, there's an overload of bloat with Fox's films. It seems like they shove a bunch of characters into one movie because they have a hard time focusing. Its like when you're a kid and you have a bag full candy from Halloween and you want to sample/eat it all at once. They also are the only studio to not make a clean break and reboot their movies. So they're trying to build their cinematic universe while still trying to maintain continuity with their first movie (X-Men). It's leads to a lot of confusion and major characters disappearing. For example, Cyclops, leader of the X-Men has been cast aside. He had such a small role in X2 then was killed off in X3. There's also seems to be an antagonistic relationship with Marvel Studios when it comes to movie rights (The race to put Quicksilver on screen). Sony worked out a licensing deal with Marvel for the rights to Spider-Man. And they've been very successful. All 3 films were very huge financial successes. Spider-Man 2 was considered one of the greatest comic book movies of all time. Spider-Man 3 didn't do as well critically (And even less historically) but was still a hit at the box-office. Sony also had two Ghost Rider movies which weren't as successful. They've since let those film rights revert back to Marvel. With The Amazing Spider-Man, Sony decided to reboot the franchise and really set up for making its own cinematic universe with the one character they had left. They've also announced that they're moving forward and in the early development stages of trying to put together a Venom and Sinister Six movie. Pros: After Batman & Superman, Spider-Man is the most popular comic book character ever. The Amazing Spider-Man was their "least" successful Spider-Man film and it did a "meager" $750+ million. So yeah, Sony is sitting on a cash cow with Spider-Man. Cons: . Sony is on an island by itself. They don't have a lot to work with. They're trying to start a cinematic universe and they're moving forward with Venom & Sinister Six movies but Spider-Man is pretty much the only major hero they have. They could probably sneak Venom into an anti-hero role but outside of that, they're pretty limited in what they can do in the long term. Constantly rebooting Spider-Man doesn't seem like it's a viable solution. I think we'll see them cut a deal with Marvel Studios. They already came to terms with the animated TV Rights for Spider-Man. No one really knows what Sony gained from that deal in 2009 but it seems they're way more friendly with Marvel Studios than 20th Century Fox is. They were also close to a deal with Marvel Studios to include Oscorp Tower in the Avengers. Seems like the only reason it didn't happen was because of timing. *EDIT* There have been more rumblings of a deal between Sony & Marvel Studios. I've always said that eventually Sony will have to do something like this. I don't think it's anything wrong with what they're doing but it just seems like cross-studio deals would be the next natural progression in comic book movies. And there would be a ton of money made for everyone involved. *Edit 2/10/2015* So the deal happened and Spider-Man is now part of the Marvel Cinematic Universe. HOWEVER, this doesn't change the rights. Marvel Studios & Sony "will collaborate on a new creative direction for the web slinger. Sony Pictures will continue to finance, distribute, own and have final creative control of the Spider-Man films." This is important to note. Spider-Man is STILL in Sony's control. This is just a beneficial partnership between two studios. Still a pretty big deal and I'm not sure I've seen this happen before. Because of the Marvel Studios deal I'm not sure what happens to the other films Sony confirmed and planned so I'm putting them here. I've heard they've been cancelled but I've also heard "Not so fast"
Access to Marvel Cinematic Universe Characters - They don't have the rights to Punisher, Blade, Kingpin, Daredevil, etc because they all belong to Marvel Studios. However, this partnership between the studios that allows this characters to share a universe means we could see this characters mix it up on screen. I think Marvel started realizing how much money they were leaving on the table. 2004 is when they decided to move into production instead of just licensing Marvel Studios probably doesn't want to gain the rights back to X-Men and Spider-Man. From a fan point of view, that seems crazy but let's think about it for a minute. Marvel still makes money off of those films for the licensing (mainly with merchandising and not off the actual film). So they get paid and take ZERO of the risk for making those films. Still, the X-Men films did $2 billion and Marvel got $26 million off of that. So it was probably a little sickening to see other studios raking in huge money using their characters and only getting pennies in return. 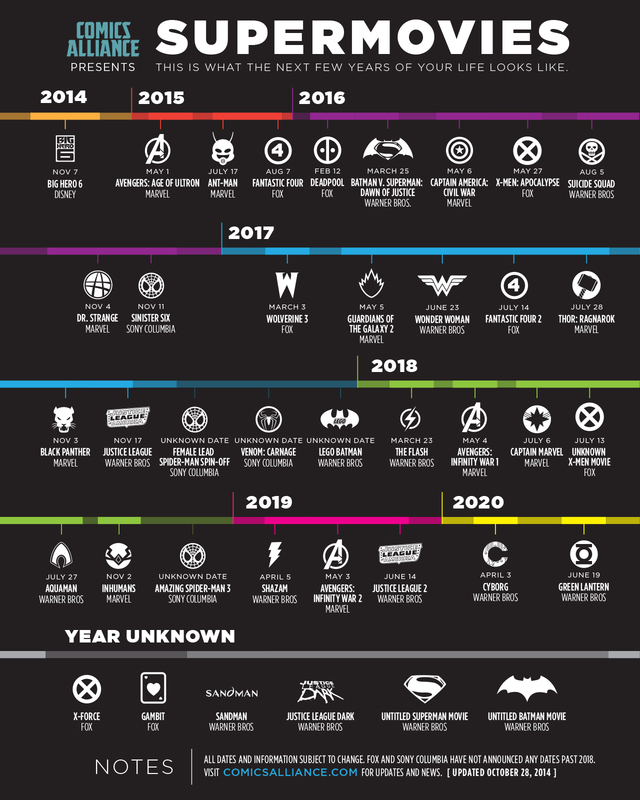 So they took a risk and planned out and created their own cinematic universe with the characters they had. And the results have been great. Avengers and Iron Man 3 alone did just under 3 billion combined at the Box Office. And the movies are pretty damn good. The Walt Disney Company bought Marvel back in 2009 but has pretty much let Marvel run its movie with autonomy. Turns out to be a pretty good partnership for both. Marvel has access to Disney's deep pockets and muscle and Disney gets a company that's raking in billions of dollars a year off movies alone. Pros: They created the idea of a cinematic universe and have been making solid films ever since. Even their weakest films are still pretty good when compared to other studios. And Avengers is still the greatest comic book movie ever created. Also Marvel Studios' has the most forward thinking and detailed film planning. As of right now, they have their movies planned out to about 2021. Plans change but this kind of thinking is what leads to having the most cohesive cinematic universe. Also allows them to take more risks with movies (Guardians of the Galaxy). Huge deal with Netflix that is going to bring four characters to Netflix in the form of TV and a Netflix movie. 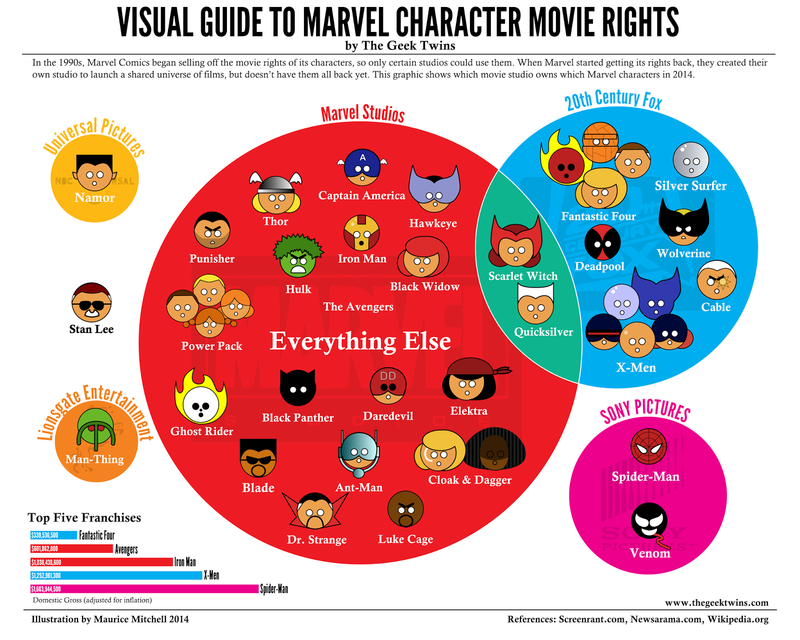 Cons: One of the main complaints about Marvel has been there lack of solid villains. The fact is, they just don't really own any. There's a reason Loki has been featured in 3 movies so far. They have Ultron coming up in Avengers 2 and Thanos, who made a brief cameo at the end of Avengers, is their biggest villain who they seem to be working towards in Avengers 3 down the line. Even then, if they do an Infinity Gauntlet type movie, they'll more than likely be missing two key figures: Galactus and Silver Surfer, since Fox still owns those movie rights. Also, as I mentioned with 20th Century Fox, the relationship between these two studios is pretty hostile. Take Fantastic Four. It seemed like Fox was going to let these rights revert but I think they realized how much Marvel Studios wanted them. Not for the Fantastic Four but so they could get characters like Galactus & Silver Surfer. There was even a rumor that Marvel Studios was trying to see if Fox would make a deal and share Galactus if Marvel extended the rights to Daredevil. Fox shot that down. I think that would have been the closest to a deal we'll ever get with these two studios. A deal with Sony is much more likely. Confirmed Movies (Past & Upcoming): Because of the way Marvel plans, they break out into "Phases"
Thor: Ragnarok (November 3rd 2017) - Craig Kyle & Christopher Yost are writing. Another Hulk movie - We could see something like Planet Hulk and then maybe go Avengers 4 as a "World War Hulk" movie. Skrull & Kree - I've seen reports that Marvel can use them but just can't call them Skrulls/Kree but I don't think that's true. The reason Whedon used the Chithari in Avengers instead of the Skrulls had nothing to do with film rights but because he thought they deserved better than to be used just as pawns and had a deeper history that required more attention. So I think this is another situation like Quicksilver & Scarlet Wtich where both studios can use the characters and the names. Guardians of the Galaxy actually has several Kree characters and it will be interesting if they mention the fact that they're Kree or not. Namor ­- So, from what I can gather, Marvel has the films rights back but Universal might have the distribution rights. So it's "complicated". Not as complicated as some of the issues with shared characters with Fox but still complicated. Man-Thing (2005) - *UPDATE* So Marvel Studios over the last year has had two references to Man Thing. The first was Ellen Brandt in Iron Man 3 and then this week Maria Hill on Agents of SHIELD in a phone call mentions when talking about the questioning she's gotten from Congress "...who or what is a Man-Thing". So who knows, maybe these' rights have gone back. It would make sense, Punisher rights have gone back and why would Lions Gate want to hold on to these? 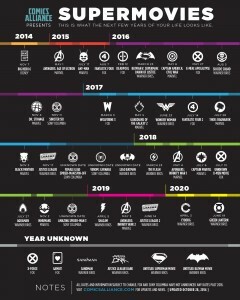 Obviously not Marvel but I added this in there because I thought with all the rumors flying around it would be nice to keep track of the films going on here as well. Luckily we don't have to worry about character film rights. I'm going going to start with the 2005 though for DC. Watchmen (2009) - *added 2/28/2014* - I completely forgot to add this and I'm ashamed. I love this movie and thinks it gets unnecessary hate. I still think it's one of the most accurate comic book to movie translations done. The only real significant change was the ending and I liked the movie's ending better. Justice League Dark (TBD) - I forgot this when I first generated this list. Guillermo del Toro has confirmed that this is still in development and will be tied to DC cinematic universe. It will include Constantine, Swamp Thing, Etrigan and Deadman. Sandman - *added 2/28/2014* - Joseph Gordon-Levitt is rumored to be directing & starring in this but its in the very early stages of development. Recently Jack Thorne was signed on to write the screenplay. Yes, they would go back to Marvel. Any time the rights revert they go back to the original owner so that would be Marvel. In the past Namor has been most connected to Fantastic 4, so Fox will probably the ones to try and snap that one up. I don’t know if they can. The way it works is, if Universal doesn’t use the rights, they automatically go back to Marvel. Now Marvel could re-license Namor and send him to Fox but that’s the only way it could happen. Kevin Feige said that Marvel does again own the rights to Namor but its complicated. He said that if Namor does appear in a movie soon it will be in a Marvel Studios film. Actually i meant after Avengers 3. Avengers 3’s main villain should be Thanos. Civil War is hard because they don’t have any of the mutants and they’re central to that storyline. But they probably could still make it work. I still think do some form of World War Hulk would probably be their best bet. I’m reading/hearing that Hulk (solo films) remain with Universal for distribution; Hulk as part of the Avengers is all Marvel Studios…is that right? Ha, yes apparently that’s true. It’s actually one of the updates to this I plan on making this weekend. Seems like Universal has distribution rights to the Hulk as well as Namor. I don’t think they’re rushing to work on a deal because right now they don’t need them but I could see something happening midway through Phase 3 so they can start working on Phase 4 movies. Particularly Namor. With them doing a Black Panther movie, they could do an Atlantis – Wakanda war at some point like what’s happened in the comics. What about Alpha Flight ? It will never happen but what about the Beyonder storyline? Of course that would require every studio to agree to the use if their characters. What about Superman Returns 2006?